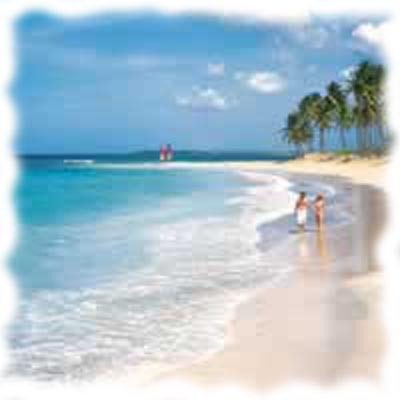 Viewers are always asking us about beaches location and services Punta Cana. There are six beaches that make up the continuous strip of white sand and hotels in Punta Cana. The beach is 63 km. long and about a 45 minute drive from one end to the other. Knowing the beaches location and services before you get there can greatly improve your ability to plan fun and feasible day trips and activities while you’re in Punta Cana. As far as services go, you won’t walk more than a couple kilometers without seeing a makeshift artists’ market set up. They tend to have all the same souvenirs as the main shopping areas and are the easiest to visit from the resort. If you’re dying to go to the Jellyfish Restaurant in Punta Cana or play the La Cana Golf Course , booking a hotel on Macao beach isn’t a great idea. I mean a 45 minute drive isn’t the end of the world, but if you can find a similar deal a couple minutes away then jump at it. However, if the beaches location and services Punta Cana that you’re looking for centers around wanting to stay in Punta Cana and take a trip up to the Teeth of the Dog golf course in Casa de Campo then Secrets Excellence or Sirenis are your best choices. They’re at the extreme northern tip of Punta Cana and only an hour and a half from the Teeth of the Dog. We consider everything from Natura Park up to Ocean Blue Punta Cana to be kind of central to most activities that you might want to plan. There are about 30 hotels between these two locations spanning four beaches, but you’re never looking at more than a 20 minute drive from anything. 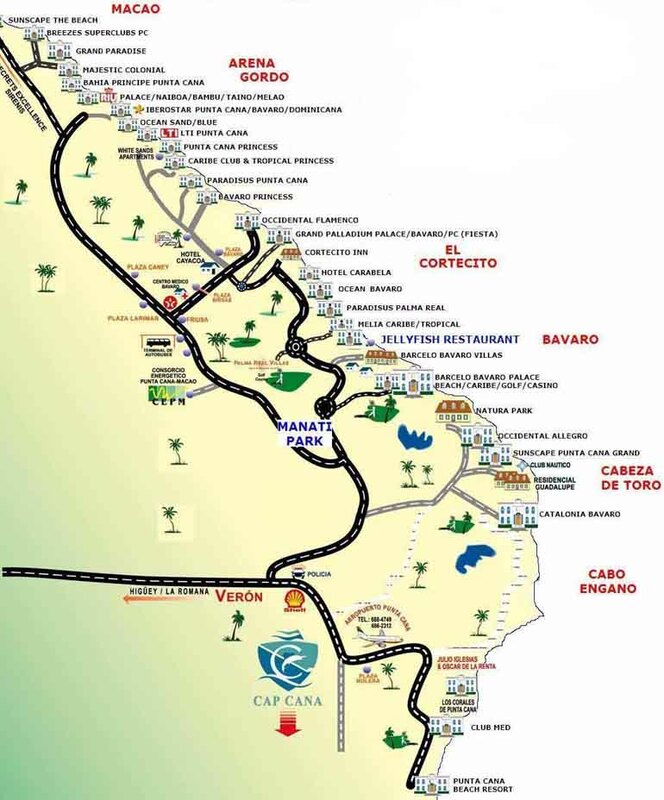 The best way to get an idea of a beaches location and services in Punta Cana is to check out the resorts location map below. The map was made relatively recently which means that most of the hotels are listed as well as what beach they’re on. You’ll also notice a lot of the attractions like the Jellyfish and Manati Park listed. Remember, if there’s a question that has to do with a beaches location and services in Punta Cana that you can’t find the answer to anywhere else feel free to contact us at any time. We’ll do our best to help you out!